I also hope to send you occasional astrological tidbits that do not appear in any of my columns or newspapers. These offerings will come (or not) as the Muse moves me. 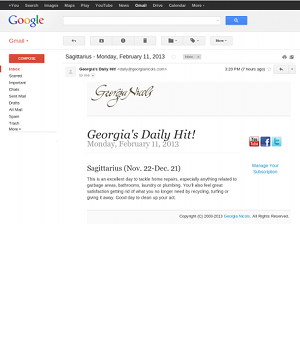 If you're already on Georgia's list but wish to cancel your subscription, click here to unsubscribe.